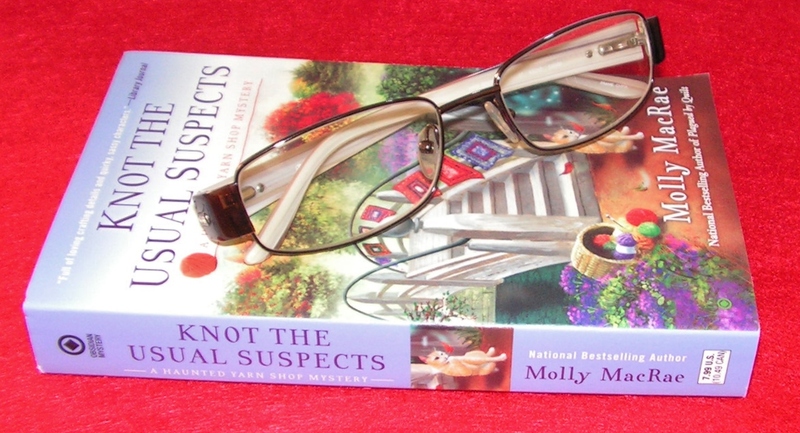 Author Molly MacRae has written another winner in the Haunted Yarn Shop Mystery series. Like a beautiful afghan, every new stich she makes in this series only serves to make it more wonderful. KNOT THE USUAL SUSPECTS is absolutely delightful. I can’t knit a knot, but I loved reading about the lovely projects this fun loving, sassy group of characters create. It really does inspire me to want to learn the craft. Kath and crew find themselves in the middle of another murder, and of course they investigate, with the help of resident ghost, Geneva. 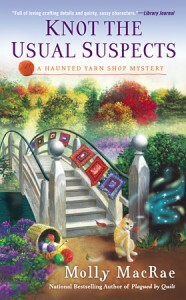 Ms. MacRae has a wonderful talent for combining mystery, fun, crafting, and the paranormal. With twists and turns and surprises all the way to the exciting reveal, KNOT THE USUAL SUSPECTS is a must read mystery that will thrill readers and have them begging the author for more. This is also a great mystery for readers of several mystery sub-genres. Craft-cozies, and para-cozies. There is indeed something for everyone in this one. Don’t forget to check out the back of the book for recipes and knitting patterns!